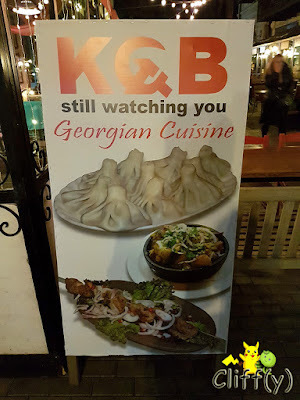 As history buffs, my BFF and I were excited to find a restaurant called KGB in Old Tbilisi. According to the Internet, it offers dishes with interesting names along the likes of Proletariat Pizza and Lenin's Favourite Dish. Unfortunately, I can tell you for sure that the restaurant has done away with those. 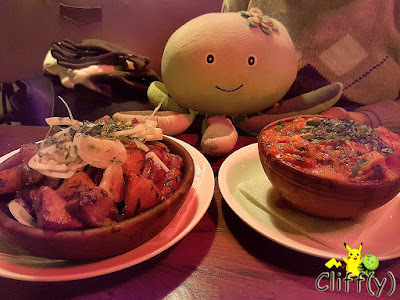 Due to the intense colour of the heat lighting, I wasn't able to take nice pictures of the dishes. Pardon me. How does cheese wrapped in cheese sound to you? 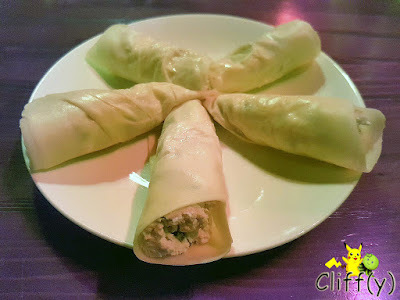 Somewhat afraid that they'd be too salty, we went ahead to order the elastic sulguni (Georgian brined cheese) wraps filled with soft cottage cheese mixed with chopped mint leaves Thankfully, they weren't that salty. 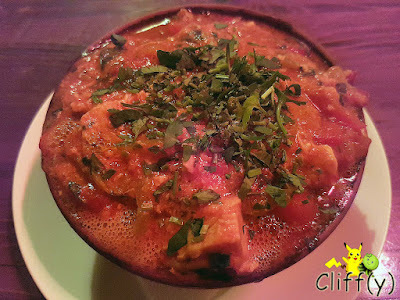 I recall how enjoyable that hearty bowl of chicken stew with tomatoes and eggs was in such a cold weather during winter. The chicken was juicy, topped with chopped tarragon leaves. Overall, it could be slightly sweeter to balance the sour of the tomatoes, but I certainly wasn't complaining. I had a love-hate feeling with this particular dish that turned out to taste akin to what my mother cooks at home sometimes. 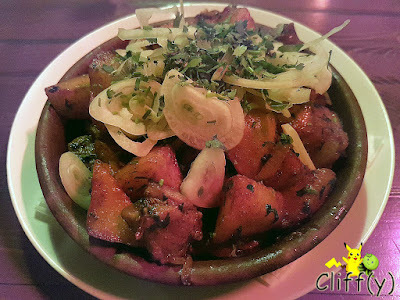 Literally meaning 'family meal' in Georgian, the pork and potato dish served that evening was tasty. The potatoes were soft and flavourful, having absorbed the little bit of gravy that came with lots of garlic. The meat, however, wasn't exactly tender. Pelamushi is a favourite Georgian dessert made with condensed grape juice mixed with flour. Having an interesting texture, KGB's version was a tad bouncy, a tad chewy and mildly sweet without a particularly unique taste. 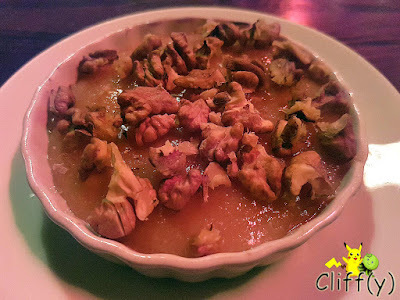 It was topped with walnuts, but some of them were a bit stale. It's also sad that the bill no longer comes in vintage Soviet working paper. 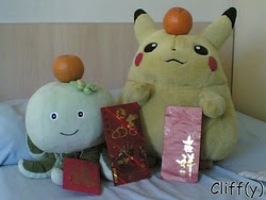 Pika's advice: This isn't something specific to the restaurant, but I've seen Baked Apples in the dessert menu of a number of eateries in Georgia. I didn't have the chance to try that though, but perhaps that'll be something of your interest.